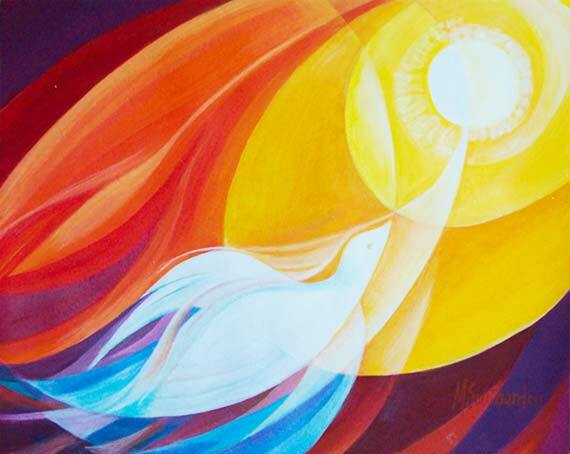 Spirit of Life meets at the Congregational Church of Weston/UCC: 130 Newton Street, Weston, MA 02493. Go about ½ miles and bear slightly LEFT onto Newton Street. Go about ½ mile and the Church is located on the left. Take the I-95 N/RT-30/RT-128 N exit, Exit 14, toward N.H.-Maine/Points North. When ramp splits, Exit RIGHT up to Route 30. Church is located 1.2 miles on right. If you are seeking a community with which to pray and to grow in your faith, we invite you to come co-create with us The Spirit of Life, a Catholic Community of Justice and Joy. Rev. Jean Marchant M. Div., D. Min.